With sadness, we regretfully announce the death of our mother, Carolyn Florence Burns. 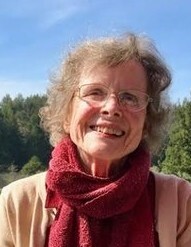 Carolyn grew up in the Bay Area and moved to Eureka with her husband, Paul J. Burns in 1953. She made Eureka her home for the rest of her life. She loved Humboldt County and all of its beauty and was very active in the vibrant art community especially the Redwood Art Association. When referred to as an artist, she modestly said she was not an artist, simply a painter. She loved her visits to the Bay Area to see her children and grandchildren and take in a museum exhibit or two. Her Catholic faith was very important to her; she was a faithful attendee at Sacred Heart Church as well as a founding member. She loved her time after Mass with her lady friends sharing conversation over coffee and donuts. Many thanks to the wonderful members of the parish and a loving thank you to Dan and Judy Burke for their kindness over the years. She is survived by her five daughters, Susan Horwitz (Robert), Claire Tosio (Jim), Colleen Cetrangolo, Marcia Burns and Tricia Burns, grandchildren Elizabeth, Julia, Madeleine, Austin and Lilly and one great-grandson, Liam. 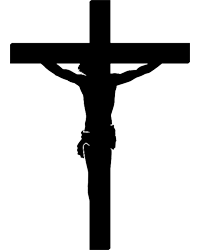 A memorial mass will be celebrated at Sacred Heart Church in Eureka on Saturday, April 13, 2019 at 12:00 noon. A reception will follow in the church hall along with an exhibit of some of her paintings.